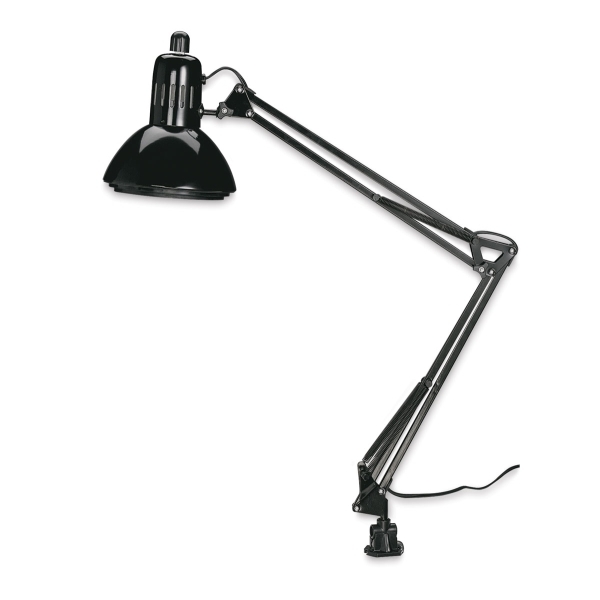 The Alvin Swing-Arm Lamp features a 6½" (17 cm) diameter ventilated shade with a double baffle to reduce glare. The spring-balanced arm locks securely in any position and has a 32" (81 cm) reach. The two-way mounting clamp attaches to any surface up to 1½" (3.8 cm) thick. 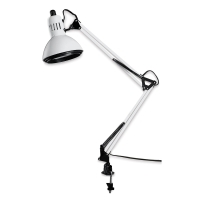 It uses one compact fluorescent bulb (included).